This Lieutenant Commander Rank Pin ranks you above all other Star Trek fans! Forged from same molds from Star Trek movies! 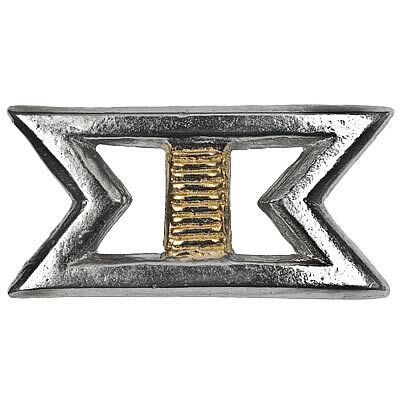 This Lieutenant Commander rank pin was forged from the same molds that produced the original wardrobe prop, this rank pin is hand-finished and constructed from the finest materials. This piece features a dual pin back and measures 1 3/4-inches wide.